Walking, Way Overrated: WAY COOL VIRAL VIDEOS INVOLVING PERSONS USING WHEELCHAIRS! WAY COOL VIRAL VIDEOS INVOLVING PERSONS USING WHEELCHAIRS! Craig and I have been using wheels for legs for decades now and admittedly, we have had many an adventure! Okay, he makes doing laundry look fun! Well, I drew him looking like he has fun! The drawing I did, is supposed to be my husband Craig, having a laundry adventure! 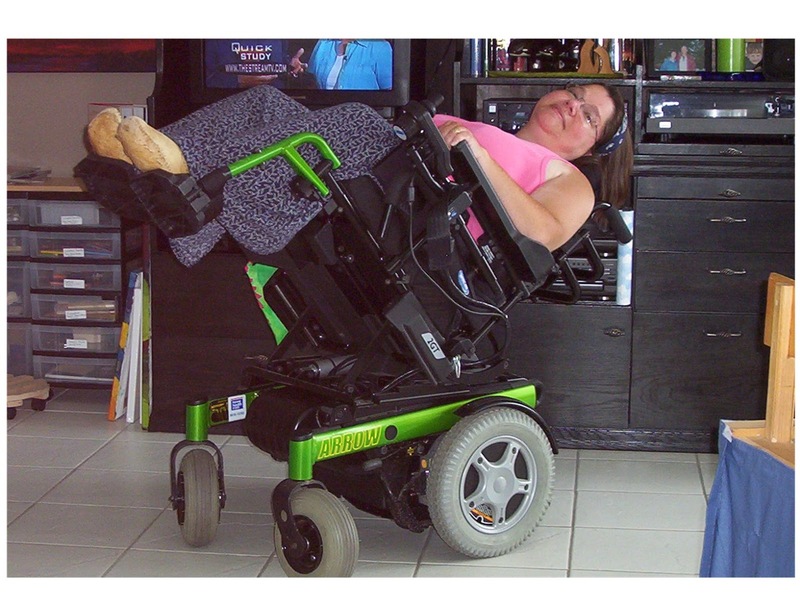 Recently a dear friend sent us this video from a website called VIRAL VIDEOS and it was a really cool invention that enables a manual wheelchair user pull up into this three wheeled motorized system that converts your chair basically into a three wheel motorcycle! Wanting to share this great, adventurous looking mobility device, I Googled the subject and discovered a whole list of really neat viral videos featuring our fellow users of wheelchairs! Some pretty cool adventures as well as meaningful and inspirational ones! - There is a dude who created a way to plow snow using his wheelchair, click here to see that one. - A goat that needs an assistive device! Click here to see that. - A lady who "Freestyles" in her chair. Reminds me of my nephew when he skateboarded as a young one. Click here to see. -A dog pushes a person who uses a wheelchair through flood waters! click. My adventure in a wheelchair, power tilting so I can nap! !